Biography: At the age of 26, Asif had a vision to reach the lost. Although threatened to stop preaching the word of God, he pressed on and visited the outer villages surrounding Lahore. He finally established Word of Life Church 13 miles from the main city of Lahore. Asif and Roseleen seek to provide a ministry where their members are empowered to be morally sound in a world affected by corrosion. Their heart for equipping the church to reach the lost is coupled with prayer and Biblical teachings; a strong contrast to their surrounding culture. 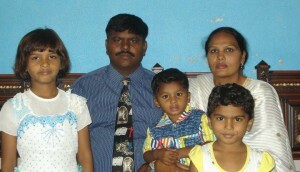 Strengths: Asif describes their primary focus as Bible school, a Prayer Tower and several outreaches.